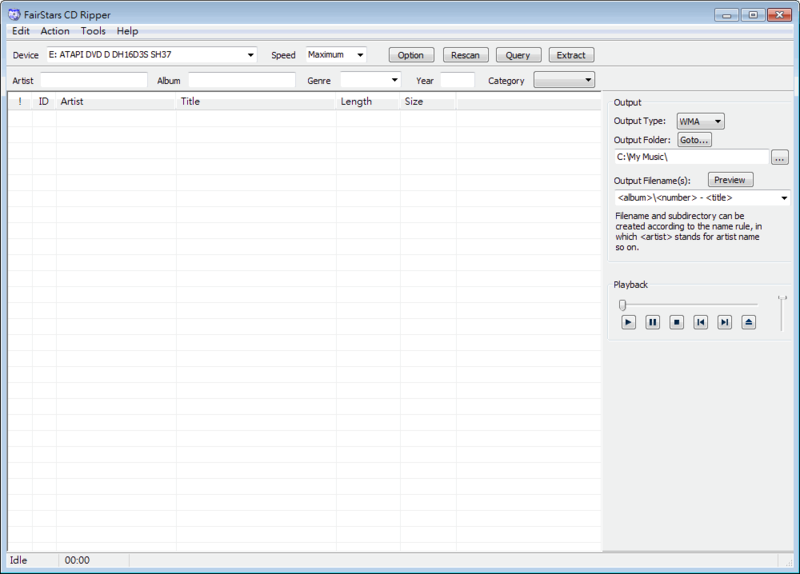 The program is a free powerful software for ripping audio CD tracks to WMA, MP3, OGG, VQF, FLAC, APE and WAV formats files on-the-fly. Free CDDB is supported(Querying and Submiting). It supports normalization when ripping, and also support ID3 tag. FairStars CD Ripper also supports playback with its built-in player.